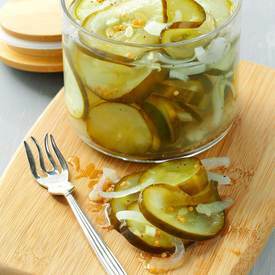 Pickle Addicted - Your guide to everything pickles. 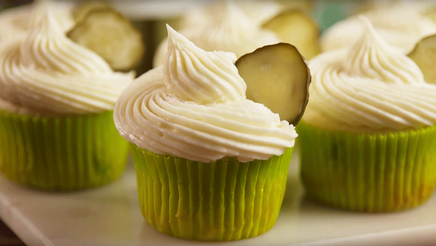 Are you pickle crazy? 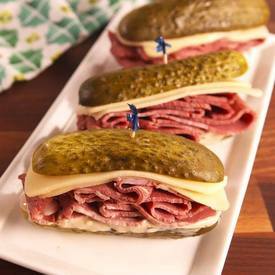 Whether it’s on a sandwich, burger, or tuna salad, I want the dill pickles to be prominent. Needless to say, I’m pretty excited about this pickle stuffed chicken recipe! Not only does it have pickles, but also cheese, the other love of my life. 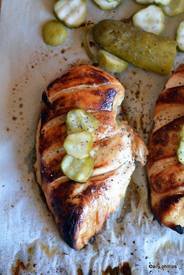 You’re on your way to a fun dinner with this easy dill pickle stuffed chicken recipe! 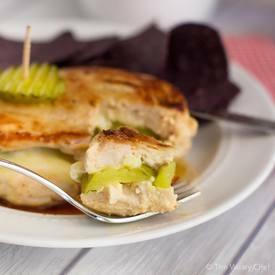 Cut a pocket into chicken breasts and stuff them with provolone and pickle slices before browning them in an iron skillet. 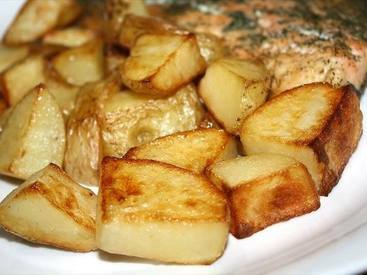 Four ingredients turned into a scrumptious meal! Why should cucumbers have all the fun? 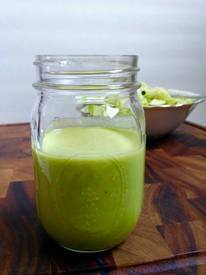 Celery sticks make great, snappy, crunchy quick pickles. You can use these celery pickles in sandwiches, on charcuterie plates, in salads—and best of all, you can use them as the best Bloody Mary garnish *ever*. 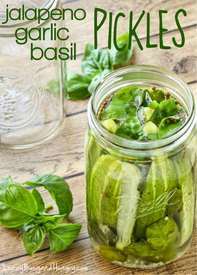 These traditional pickles are probiotic rich, delicious, and super easy to make. No vinegar! Just salt and friendly bacteria. 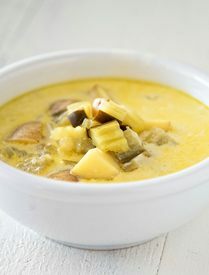 The resulting food is a delightfully tangy and incredibly nutritious and probiotic rich food. 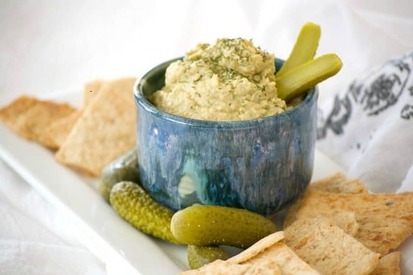 This Dill Pickle Hummus from 365 Days of baking & More is the perfect way to satisfy your pickle craving. Chickpeas, dill pickles, tahini and dill weed make this a healthy snack that you’ll have trouble sharing. The perfect party food!! 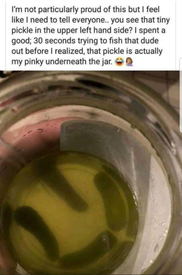 Ever tried a Wickles Pickle? If not, you’re seriously missing out. 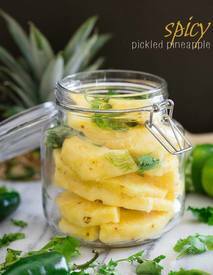 They are a delicious blend of sweet & spicy, a perfect combo in my opinion!! 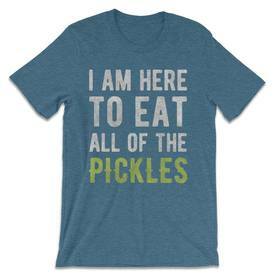 It's official, winter is finally over and it is the perfect time to update your wardrobe with a pop culture Pickle t-shirt! These incredibly soft unisex shirts are fun to wear, and make a great gift! Sweet tea...Pickles? Yup, you gotta try them!! These little gems are so delicious!! The tang from the dill pickle juice and the generous sprinkle of salt make these VERY addicting. 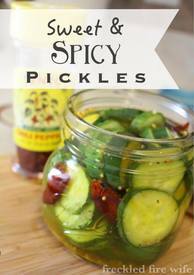 Tangy, zesty, and crunchy pickles, easy to make and ready for snacking the very next day! 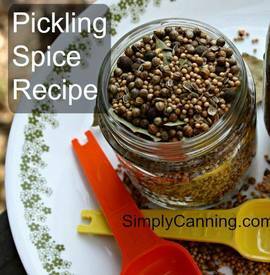 It is so easy and fun to make your own pickles! Have you ever tried it? 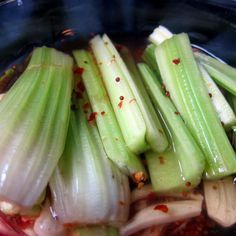 I have seen some different methods, but this recipe from Dizzy Busy Hungry is by far the easiest, quickest, and so yummy! These pickles are just the right amount of tart, sweet, and spicy. I love the zingy feeling they leave behind! 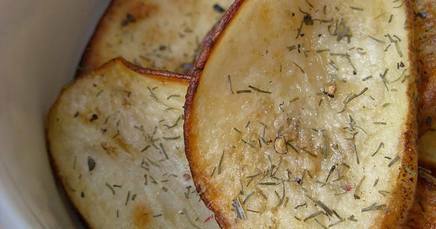 These are a great healthy snack, or perfect to serve along side a nice big sandwich. Or, you can eat them straight out of the jar! 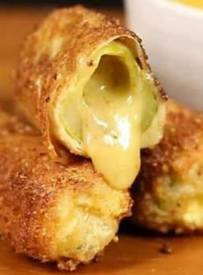 Ok, we've still got a few more months until bathing suit season, so now is the time to try these amazing Cheese Stuffed Fried Pickles!! What's not to like? 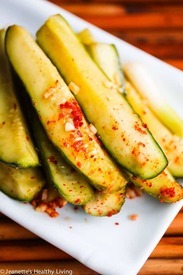 These Spicy Korean Cucumber Kimchi Refrigerator Pickles from Jeanette's Healthy Living are spicy and a little sour! 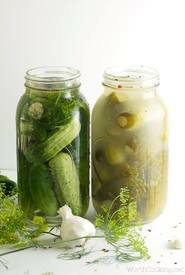 These refrigerator pickles are easy to make - ferment for one day, then refrigerate them. Easy peasy!! I absolutely love fried pickles. I first had the goodness that is delicious, crispy fried pickles a few years ago (I know – what took me so long? ), and I crave them on the regular now. The only problem I have with fried pickles is that they’re high in fat and calories, so we are sharing this air fryer recipe from The Parent Spot that’s both healthy and keeps that crispy taste. 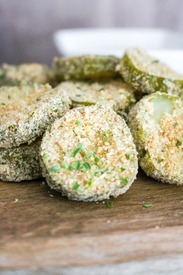 Even better, this air fryer fried pickles recipe is easy to make! These Candied Jalapenos from Caramel Potatoes are SO easy to make and a great staple to have in your fridge. You’ll love the sweet/hot combination. 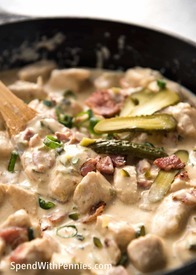 Your friends and family will be begging you for the recipe! Here’s the best part – there are only two ingredients! These little gems are so easy to make. 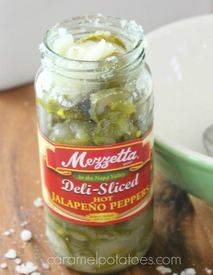 Start with a jar of sliced jalapenos – I recommend buying the hot ones. Drain the juice and just add sugar. I warn you – you may want to make a double batch, these are a little addictive! 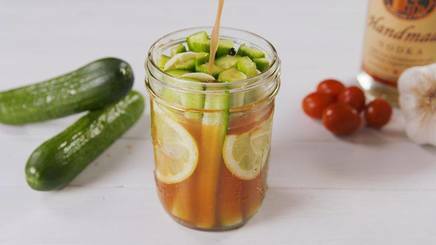 Check out these deliciously boozy Bloody Mary Pickles from Delish!! These lil guys can get spicy! If you like it hot, add the full amount of horseradish and as much hot sauce as you'd like. 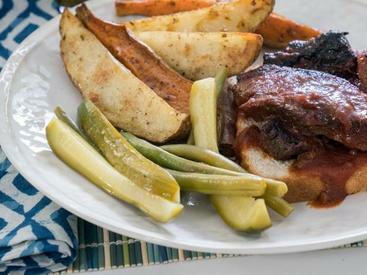 If you prefer a milder pickle, reduce the horseradish by half and maybe leave out the hot sauce. The perfect brunch time snack! !